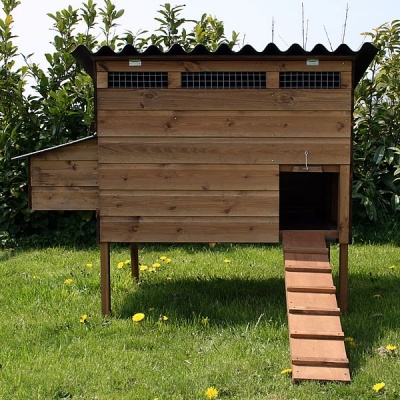 If you have a larger garden and want to keep a few more hens or ducks than the average home, the Stafford Laying House is ideal for you. 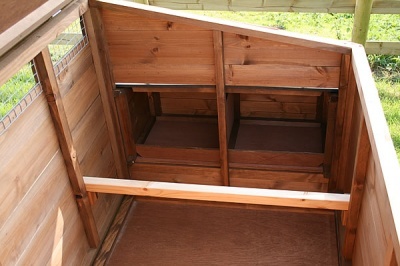 This roomy hen house is raised off the ground on stilts which deters rodents and foxes - a detachable ramp gives your birds easy access to the pop hole. 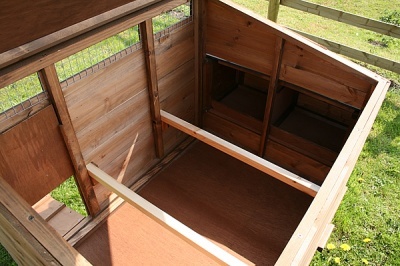 The Stafford Laying House has a corrugated hinged roof to give full access for cleaning as well as an integrated slide out floor - it's amaing how much time this saves when it comes to cleaning out the coop! 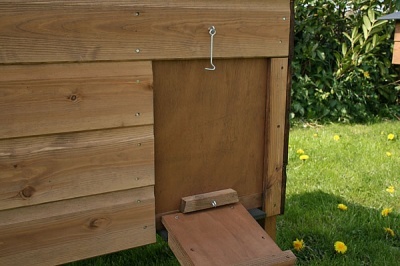 As you'll see in the images, there is permanent ventilation in the house provided by galvanised mesh inlets - this is essential for reducing the risk of red mite and dissipating air borne bugs and fungus. 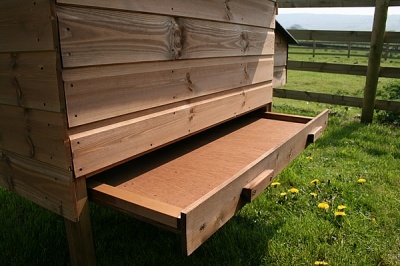 Inside the coop, 2 comfortably chamfered roosting bars allow plenty of room for the hens or ducks to roost and sleep - if your current house has square edged roosting bars, do your birds a favour and take the edges off! A large double nesting box with external flip up lid completes the hen house and means you won't have to go rummaging around for your eggs.